Loomed from seed, button, and dagger beads, this unique cuff is so much fun. 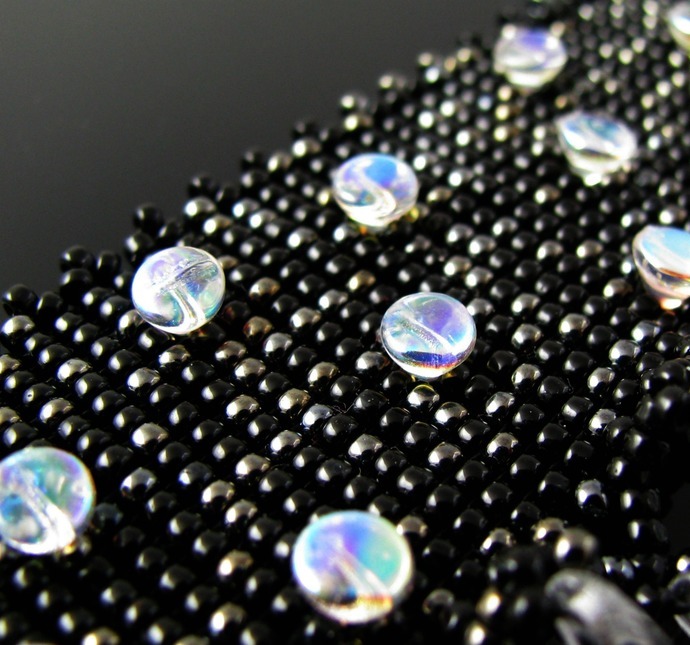 The base is a mix of black and gunmetal seed beads with one crystal AB button bead in each row. It almost looks like little glass rivets. 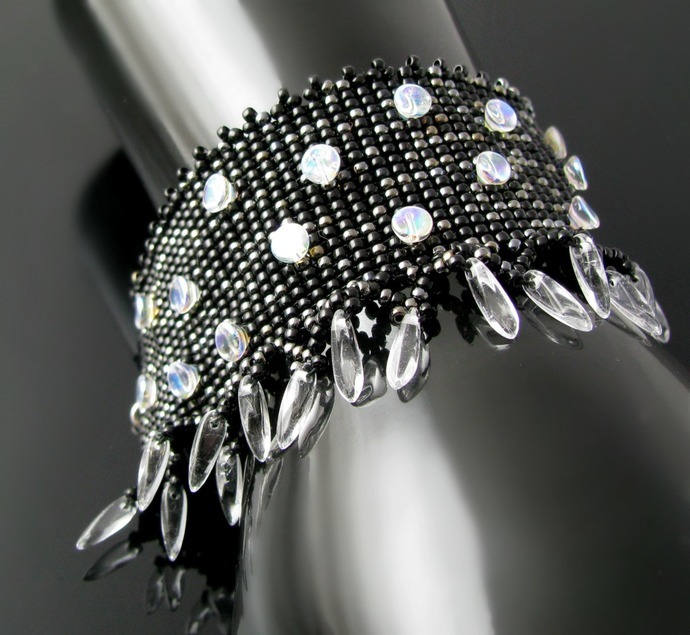 One side of the bracelet has a picot edging, the other a small fringe of icy clear dagger beads. Due to the way I sewed them on there seem to be two rows which adds some depth. Including the easy to close silver tone click clasp the cuff has a length of 19.5 cm or 7 2/3 inch. On request I can add some chain.